How big should your Columbus screened porch be to accommodate your interior design plans? When we buy a new home, we might notice that the living room seems very large or the dining room seems a little snug. But, we can envision having success with the interior decorating of those rooms. We either find a way to fit our furniture by adding or dropping a piece or two. Or, we buy new furniture to fit the bill. 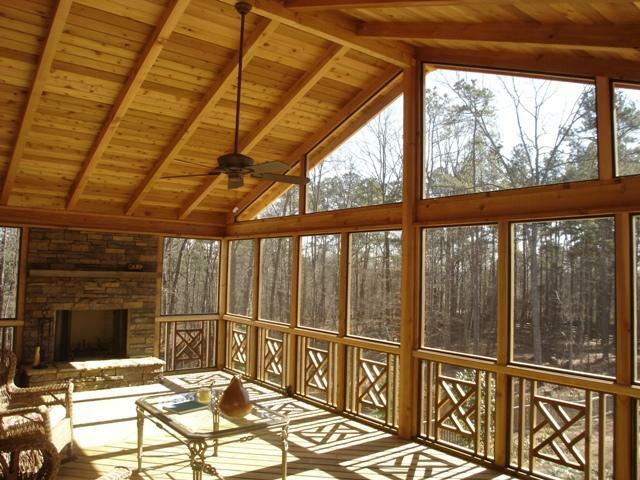 It’s nice that we have a lot more flexibility when it comes to building a custom outdoor structure such as a screen porch. How do we know how big that room should be? Is there a perfect size or an easy formula? Well, every structure we build is completely custom to fit our customer’s needs whether it be size, traffic flow, air flow, privacy, living style and a number of other factors. 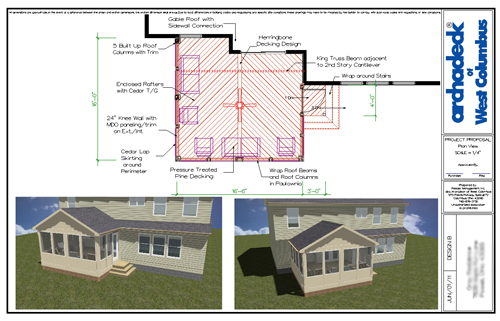 After we come up with a proposed design plan, we review it together and make modifications before we begin to make sure your new room is exactly what you want. Question: How big are your interior rooms? One of the best ways to start is to go in your house and measure your living room and dining room. 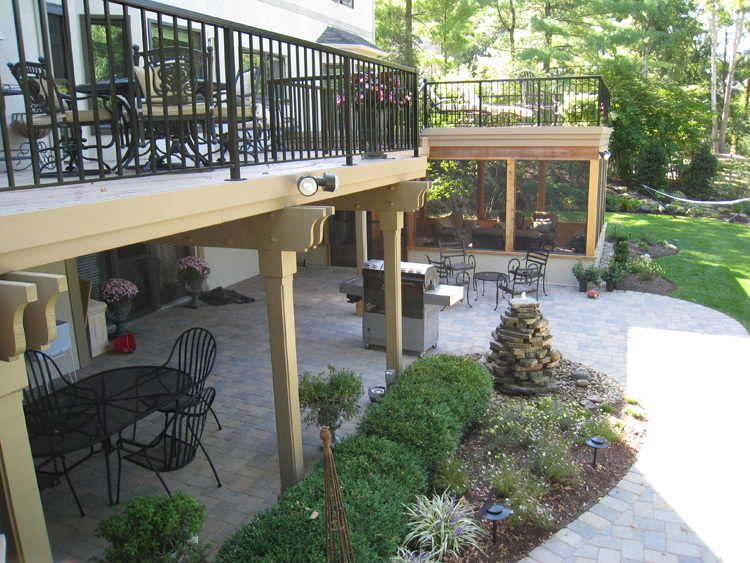 You may not be certain yet whether you want to have an eating space or a sitting area on your new porch. Many of our customers want both. If you want both, do you have a combination room in your house that includes both a seating area and an eating area? Know that these measurements serve as a guide only and we’ll help you assess other factors. Question: If your new porch includes an eating area, do you intend to have informal meals or meals where you and your guests linger? This might seem like a really odd question. But here again, go into your dining room. Measure the amount of space your table and chairs take up when the chairs are pushed in. Now pull the chairs out to where they would be if people were eating. Measure again. It’s a big difference isn’t it? With your guests sitting and eating, that easily adds about 2 feet around the perimeter of your table. Now, sit in one of the chairs. 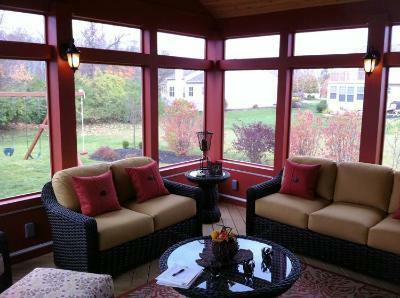 Imagine you’ve had a huge meal and need more room to sit back, cross your legs, and enjoy lingering conversation. When your guests have their chairs pulled out relaxing after a meal, that can add an additional foot on every side. Now add about 2 feet between the wall and other furniture for a nice traffic flow. Here’s a scenario. If you have a 40″ round table with 3.5 – 7.5 feet for sitting next to the table, to be relatively snug, you need 100 square feet or a 10 x 10 right there. Question: What are your plans for your seating area? 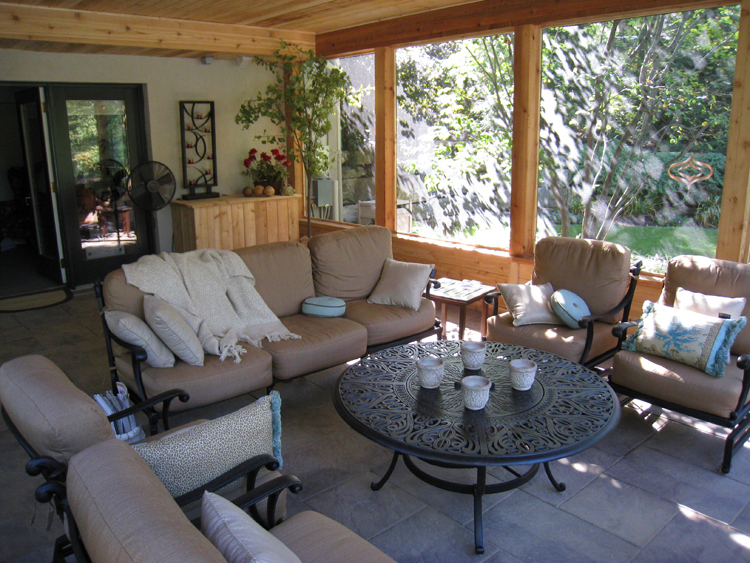 Your plans for your screened porch may include just a seating or eating area or a combined area like many of our customers choose. Here are some thoughts about what size the seating area should be. Once significant factor is whether you will have a coffee table because the table not only takes up space but also requires room for traffic flow area around it. It’s good to decide how much seating area you are looking for. For example, do you envision just a love seat against an exterior wall? 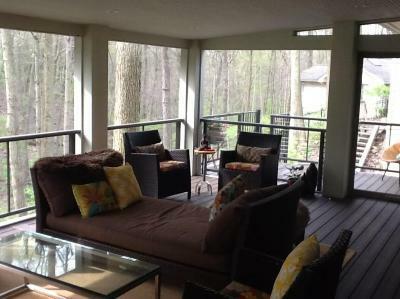 Or do you envision two adjoining exterior walls with perhaps a love seat against one and a sofa against the other? Or, are you looking to also add some additional seating across from the sofa? 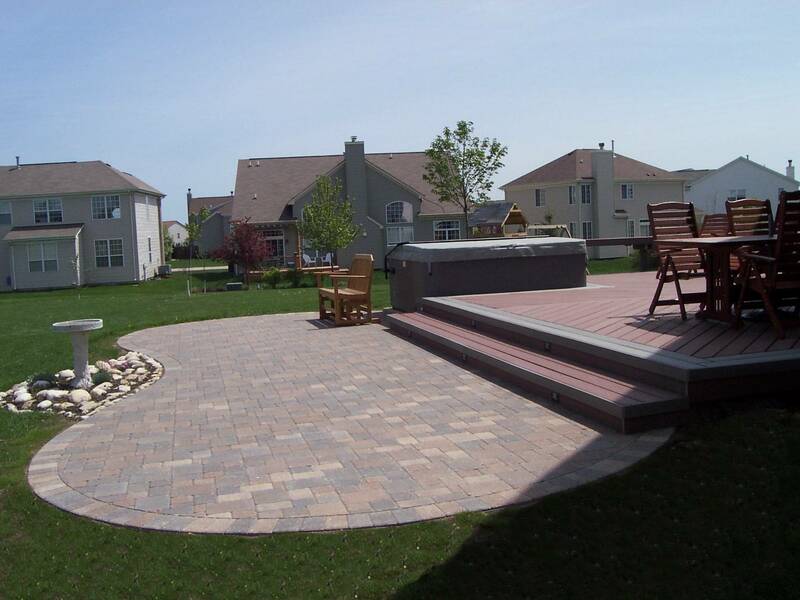 Any good outdoor contractor will be able to work with you to define the size of the space you will need to accommodate your living goals for your new room. Question: Without all this calculating and planning, what’s a common size? Generally speaking a 12 x 16 all the way up to 16 x 16 are common sizes. You should ask your contractor for photos showing different room sizes to also help you with your decision. Question: Should you buy furniture first? Not necessarily. Unless you already have furniture you want to use, you do not need to buy furniture first. 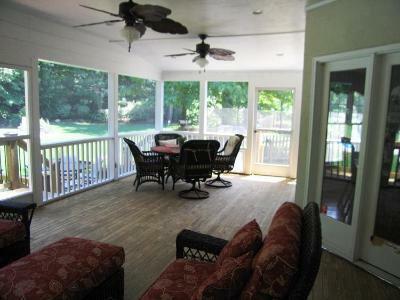 Do you have questions about interior design for your screen porch? Email us at westcolumbus@archadeck.net or use the comments below to ask your question. We will be happy to call you with an answer, email you, or even create a video response for you. Author archadeckofcolumbusPosted on December 14, 2011 Categories Interior design of outdoor structures, Interior design screen porchTags Archadeck of Columbus, Columbus outdoor builder, Columbus porch builder, Columbus room addition interior room, Columbus screen porch, Screen porch interior design Columbus, Screened porch contractor ColumbusLeave a comment on How big should your Columbus screened porch be to accommodate your interior design plans?